Look Out for Snazzy Bus Stop Posters! Many thanks to Val Johnson and Sue Hall for designing these snazzy bus stop posters and arranging for them to be displayed around Oxford. We love them! 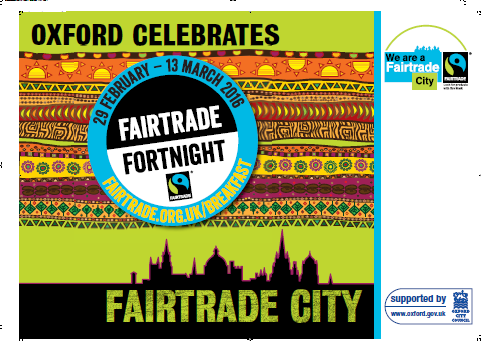 This entry was posted on Monday, February 29th, 2016 at 7:21 pm and is filed under Fairtrade City, Fairtrade Fortnight, Publicity. You can follow any responses to this entry through the RSS 2.0 feed. You can leave a response, or trackback from your own site.